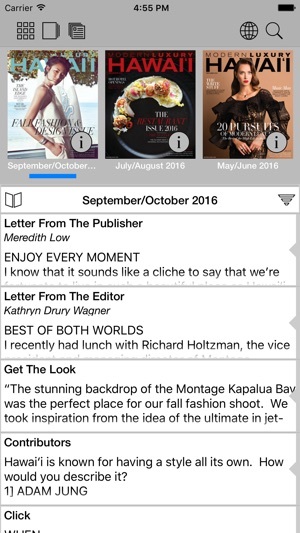 Download the absolute modern authority on Hawai’i today. 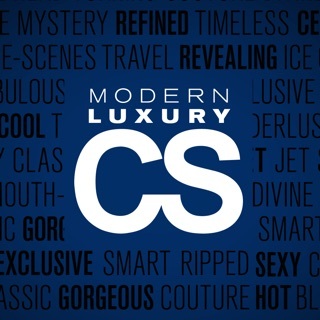 Modern Luxury Hawai’i is the magazine for the discriminating reader and one of the first city-regionals available in app format. 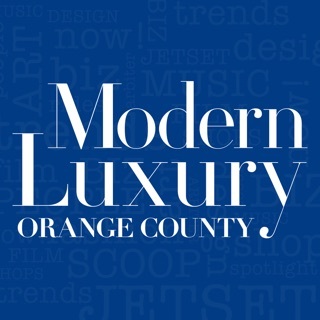 Be among the first to read this award winning content on your iPhone and iPad. 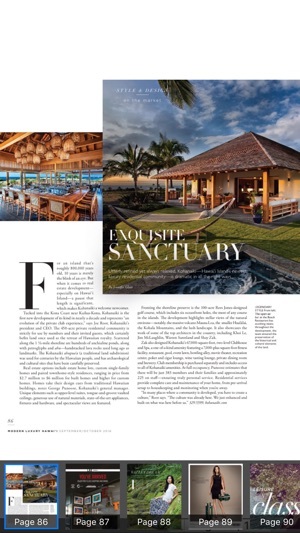 Whether it's a revealing celebrity profile, a special feature on the chicest trends in design, cutting-edge fashion spreads or an in-depth review of Hawai’i’s hot spots, Modern Luxury Hawai’i consistently engages the influential and affluent interested in this great metropolis. 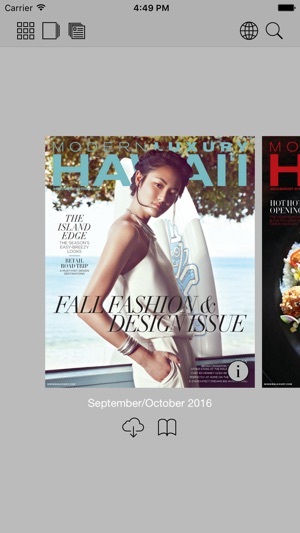 The Modern Luxury Hawai’i magazine app offers a mini escape in your hands, showcasing the finest in fashion, local dining, culture, home design, and travel. 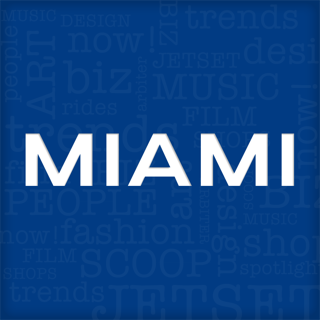 You will be notified of new issues each and every month. 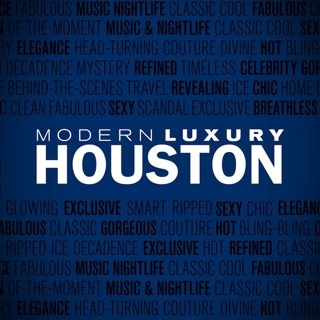 With interactive page flipping, a zoom feature, bookmarking, searching and sharing your favorite articles allow an enhanced magazine experience right anywhere and anytime you choose to read. 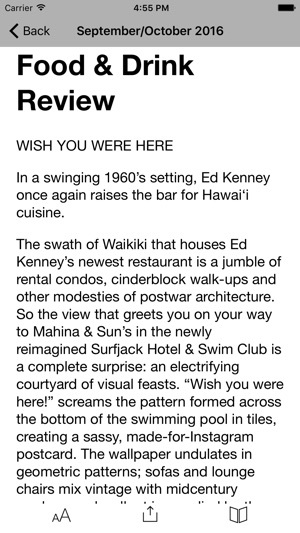 •Read great reviews of the best dinning and nightlife in Hawai’i. 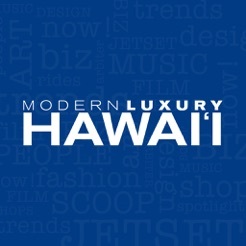 •Check out Scene photos from the hottest Hawai’i events. Ye gods! 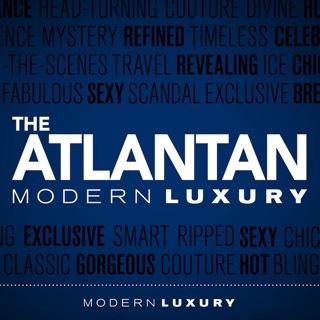 - you would think publishers using the iPad platform to produce magazines would finally get it, but here we go again. Folks, it is *not* a fun experience to turn each page of a beautifully laid out photo magazine and have them come in blurry and then after a few seconds become clear. Surely you can do better than this. Why not have the next page render in the background while the previous one is being viewed? Love looking at this magazine. What a great app & it's free :) I don't know why the previous reviewer had such a problem with the resolution. So it isn't 100% clear at first - double tap to get it to zoom & it's clear as a bell. The program crashes several times before finally loading and then takes for ever to load each page.